Welcome to Kittur, India. Of its 193,432 residents, only 89 declare themselves to be without religion or caste. 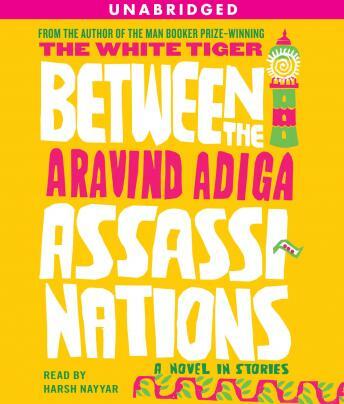 And if the characters in Between the Assassinations are any indication, Kittur is an extraordinary crossroads of the brightest minds and the poorest morals, the up-and-coming and the downtrodden, and of an India that modern literature has rarely addressed. A twelve-year-old boy named Ziauddin, a gofer at a tea shop near the railway station, is enticed into wrongdoing because a fair-skinned stranger treats him with dignity and warmth. George D'Souza, a mosquito-repellent sprayer, elevates himself to gardener and then chauffeur to the lovely, young Mrs. Gomes, and then loses it all when he attempts to be something more. A little girl's first act of love for her father is to beg on the street for money to support his drug habit. A privileged schoolboy sets off an explosive in a Jesuit-school classroom in protest against casteism. And the loneliest member of the Marxist-Maoist Party of India falls in love with the one young woman, in the poorest part of town, whom he cannot afford to wed.
A blinding, brilliant, and brave mosaic of Indian life as it is lived in a place called Kittur, Between the Assassinations, with all the humor, sympathy, and unflinching candor of The White Tiger, showcases the most beloved aspects of Aravind Adiga's writing to brilliant effect and enlarges our understanding of the world we live in today.